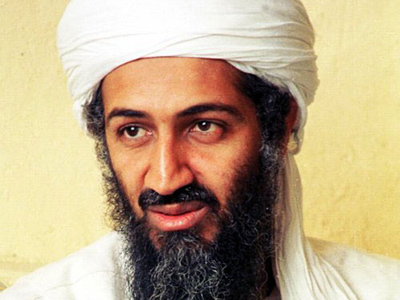 The death of Osama Bin Laden may have been praised around the world, but that world is now bracing itself for a terrorist response, and while the symbol of America’s War on Terror seems to be done with, the actual war on terror is not. ­The great vendetta moment was shrouded in secrecy. As Americans celebrated the killing of the nation’s number one terrorist, they had no other proof of his death but the word of their president. Meanwhile, the news that the body of the Al-Qaeda leader was buried at sea is doing little to counter claims that he is still alive. “They needed to give us a big win, that we can walk tall and feel good but, ‘Sorry – cannot see his body, we threw it in the ocean. Oh, we did show you a fake photo!’” mocks radio host Alex Jones. 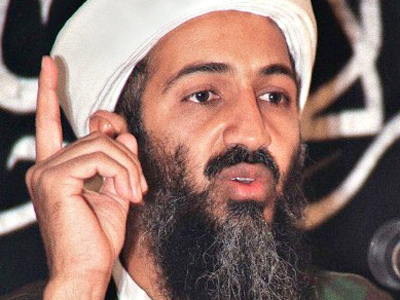 ­According to US officials, American Navy Seals killed Osama Bin Laden in his mansion in Pakistan, conducted a DNA test to make sure it was him and promptly got rid of the body, as they put it, following Islamic burial tradition. The aim of the operation may have been as much to do with winning elections, as the war on terror. “Yet his death does not mark the end of our effort. 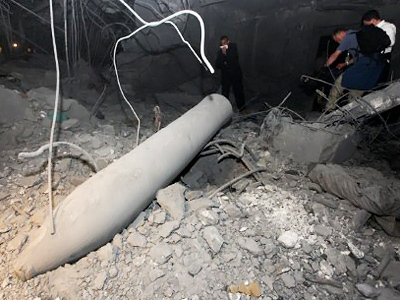 There's no doubt that Al-Qaeda will continue to pursue attacks against us. We must, and we will, remain vigilant at home and abroad,” Barack Obama declared. 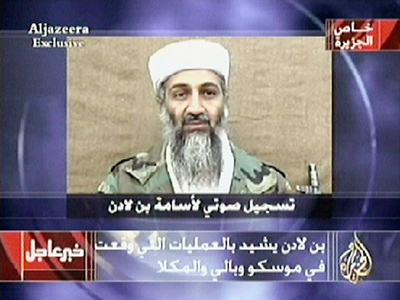 The US has long been chasing Al-Qaeda beyond Afghanistan’s borders. There have been “covert” drone strikes in Pakistan and in Yemen, which were actually quite overt and widely criticized for the scores of civilians killed in the attacks. 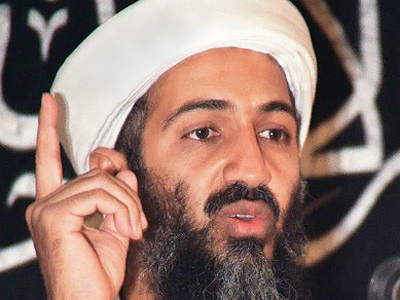 The question some ask now is: could the success of killing Bin Laden in Pakistan give the US carte blanche to carry out strikes in other countries? “They will be used to justify further wars, greater repression at home and more extra-jurisdiction targeted assassinations against political opponents and this is true whether in Libya. In Iraq, in Pakistan and Afghanistan,” predicts author and anti-war activist Sara Flounders. 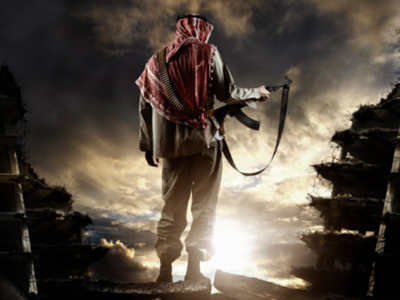 Many analysts say America’s war on terror so far has been a double edged sword that involves fighting terror and provoking terror at the same time. The war waged by allied forces and led by the United States, has left Afghanistan as unstable as ever. “The War on Terror has the ability to allow the US to carry out military operations that since 2001 have taken lives of more than a million civilians in Iraq, in Afghanistan, now in Libya and of course that leads to an escalation of resistance, of hatred and revenge, and so in terms of keeping the Americans safe – that’s a ridiculous notion,” reveals Brian Becker, national co-coordinator of the Answer Coalition. ­The US has a track record of policies that backfired, like arming and training the Afghan Mujahideen in the 1980s in their fight against Soviet troops. Subsequently the same Mujahideen militants turned their weapons and training against the US. 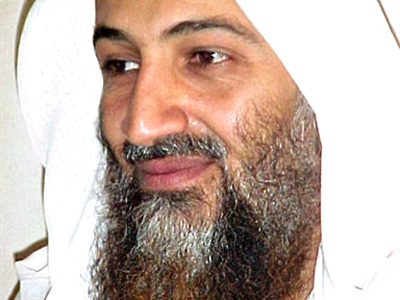 Among those supported by the US was Osama Bin Laden. whose group eventually evolved into Al-Qaeda. “One great problem with the whole episode in Afghanistan in 1980s is that no lessons were learnt. Still seen by the CIA as a great success with a bit of a collateral damage in New York, which was the 9/11 [attacks],” Professor Mark Almond of Bilkent University shared his analysis. 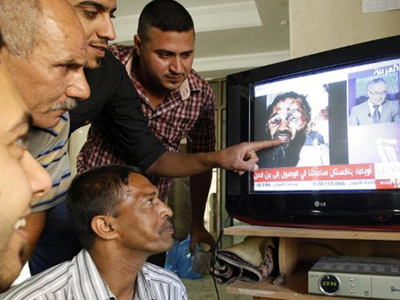 But one lesson was learnt: victory over “evil” makes great television and approval ratings for the man in charge. 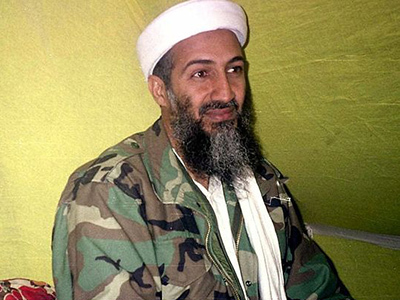 Obama said that he had known about Bin Laden’s whereabouts since August last year, but only last week had he given the order to have him taken out. ­It has been two weeks since Obama announced his re-election plans. He has been slipping in the polls over inconclusive wars overseas and economic woes at home. “Obama is cashing in on this for everything that it’s worth. In his speech last night he kept stressing several times, ‘I ordered, I promised, I such and such.’ This statement was clearly worded for political advantage,” concludes filmmaker Danny Schehter. At a time of unity and joy over the death of the evil Osama, Americans could be missing the bigger picture: in the last ten years the War on Terror, and the way it has been conducted, has earned them more enemies than friends. 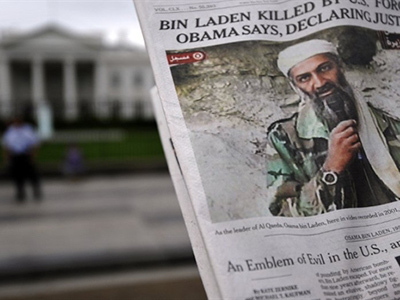 ­American investigative journalist Jeremy Scahill says Bin Laden may be not alive, but his agenda of trying to chisel away American power in the world will certainly live on. 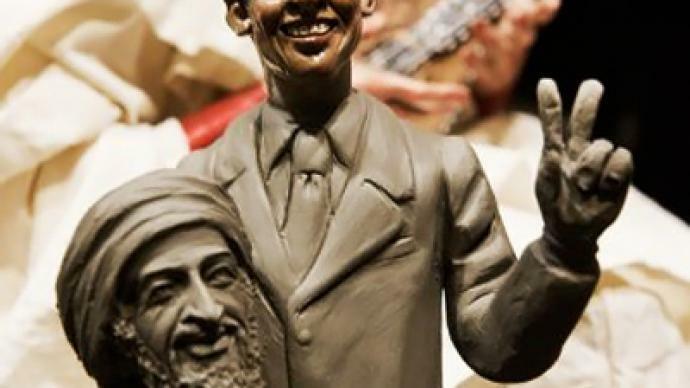 In a certain way, Bin Laden won, making the US spend over a trillion dollars on wars over the last ten years, invading Iraq, which had nothing to do with 9/11 and had actually been an enemy of Bin Laden’s Al-Qaeda under Saddam Hussein. “In doing so [the US] created or inspired a whole generation of people to rise up against the US, that probably would not be inclined to do [so] otherwise,” Scahill said.